So you think you'd like to tour the USVI on a Virgin Island yacht charter. Does the smell of the sea in your nostrils and the breeze in your hair give you a thrill? Would you like to wake up every morning to a different gorgeous island vista? Are you excited by the prospect of seeing the beautiful islands from off the coast? Maybe chartering a yacht is for you. You'll find an amazing array of choices in Virgin Islands yacht charters. What's more, there are a number of different categories of yacht charters for you to consider. The size of your party. How many people will be taking the trip? Will you have children or teens with you, or will the party be all adults? Do you want lots of activities and action, with a crew who'll be right there with you? Or would you prefer an easy, relaxing, let-the-world-slide-by kind of trip? Do you want a charter that offers special activities like fishing, scuba diving, or even scuba instruction? How long would you like your charter to last? And, of course, what is your budget? You'll find that there's an amazing number of individual Virgin Island yacht charters available for hire. The selection can seem overwhelming. But of course, that simply means that you'll have a bigger variety to choose from. And that means you'll be more likely to find the yacht and crew that most suits your needs. get an idea of what's available. For starters, let's take a look at the basic categories of yachts available for charter. 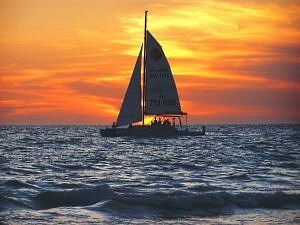 Sailboats (mono-hull): By far the most common boats available for charter are traditional, single-hull sailboats. These range in size from under 30 feet to well over 100 feet. 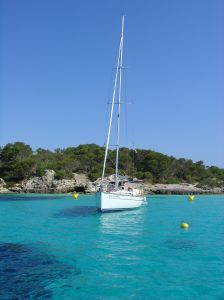 Catamarans and trimarans: There are quite a few of these available for hire, ranging from under 40 to over 80 feet. This style of yacht is especially popular in the Virgin Islands, since they offer a good combination of speed and stability. They sail flat, making them good for families with small children. Motor-yachts: Not as common as the sailboats, particularly in the smaller sizes, but there's still a good selection of powered yachts. And, when it comes to mega-yachts of over 100 feet (some are over 180 feet... that's big), motor-yachts predominate. 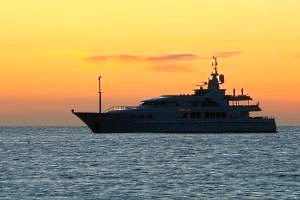 Prices of charters vary enormously, depending on the size of the yacht and the number of people taking the charter. Crewed boats at the low end of the size range can be had for as little as about $3,000 - $4,000 per week, and can handle two to four guests. Typically, the price of a charter includes crew, meals and beverages, as well as the use of basic watersports equipment like snorkeling gear, kayaks, and rafts/floats. Bottom line? You have a huge variety of choices when it comes to a Virgin Island yacht charter. Important Note: most yachts are fully booked far in advance. Be sure to make arrangements early, ideally from nine months to a year ahead of time.